Summer is most certainly coming to an end in Oregon, and while the days are getting shorter, we are still inundated with smoke from more wildfires than I can count. Oregon is burning, so I’m heading south for an upcoming hike. Stay tuned for more details soon. Blogging will happen, photos will be taken, but I plan to give myself the gift of unplugging from the internets (or 4G) during the hike…posts will come after a short delay. Even though I haven’t been able to stretch my legs on any long hikes this year, I have been immersed in the land of trail work. 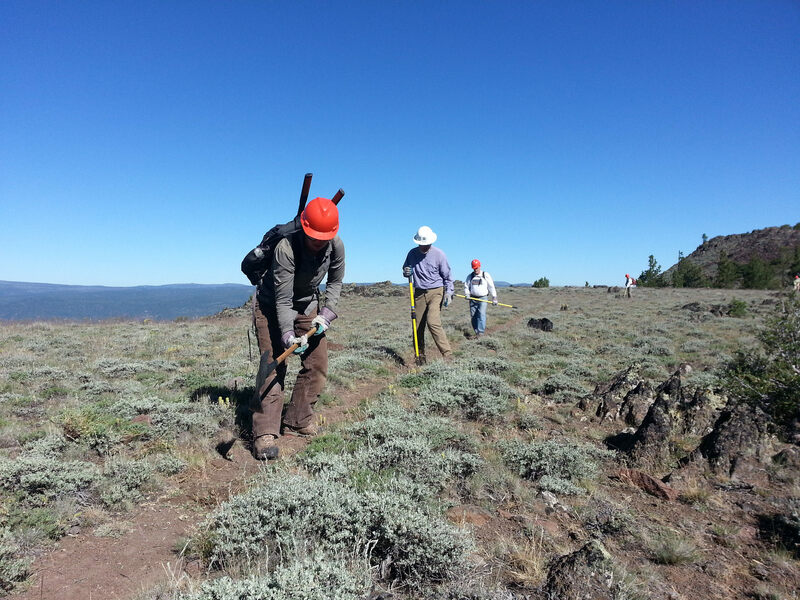 Part of my job as the Oregon Desert Trail Coordinator this year was to lead some trail work trips. It’s so satisfying to maintain trails, especially when they are as overgrown and neglected as some of the ones along the ODT. 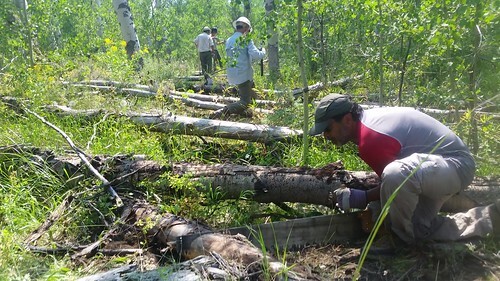 SO, we are harnessing the incredible hard working volunteer manpower to make a dent in some of that maintenance (last year over 500 ONDA volunteers contributed almost 10,000 hours to a variety of stewardship projects including riparian restoration and animal monitoring activities, WOW!). 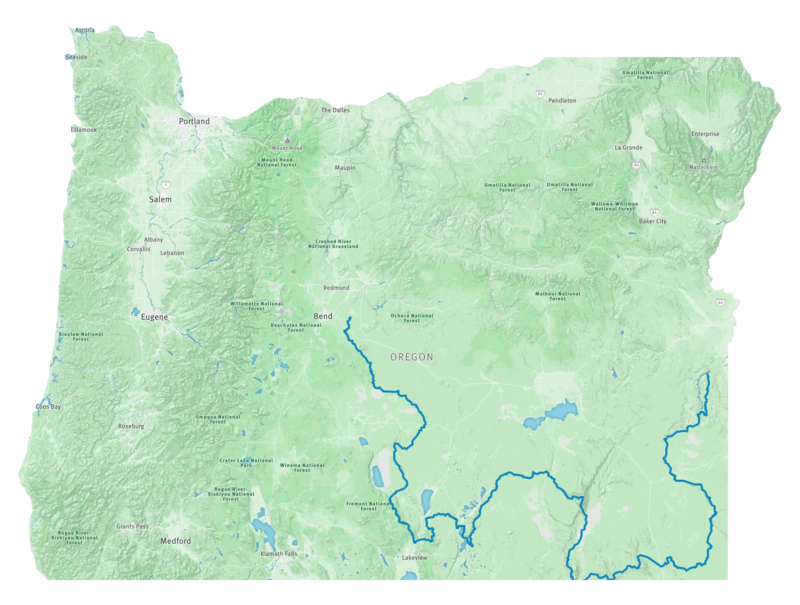 A lot of my work last year involved establishing relationships with the four different BLM Districts and two different National Forests that manage land along the Oregon Desert Trail in eastern Oregon, and this year I worked with those partners to develop four trips. I’m incredibly proud of my volunteers and the work we did. It had been a full 10 years since I led trail crews around Colorado for the Southwest Conservation Corps, but the memories came flooding back as I swung the Pulaski and built berms along the drain dips with my crews. Trailwork! I will continue with the work in 2018…there is so much to do! Are you interested in joining me on one of the trips? Some are backpacking based, some are car-camping based. We were packed in by a BLM horse team on one trip, and might even provide some chain-saw training opportunities for another…lots to help with. 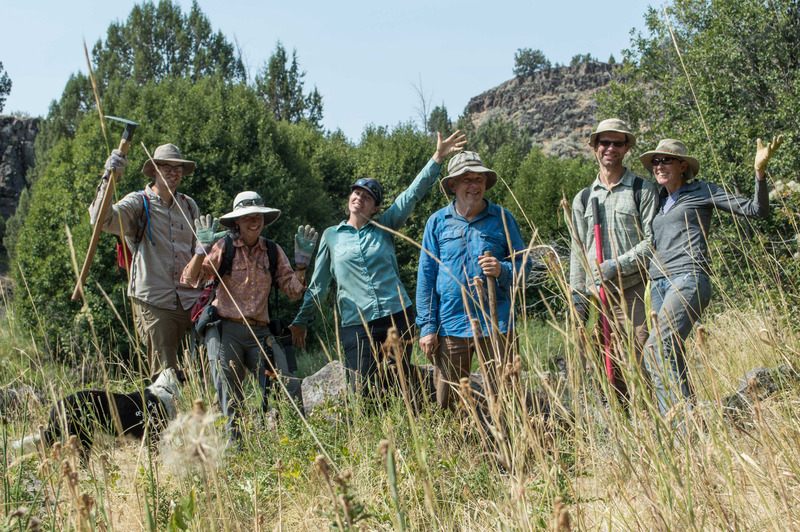 The ONDA stewardship trips get announced in mid February each year, so I’ll keep you posted here on when those go live, I’d love to have you join me on a trip or two!